An isolated Amazonian tribe has been reunited with relatives they thought were dead. Heavy rains blamed for the deaths of at least four people have continued to fall on Rio de Janeiro as officials closed schools and urged people to avoid non-essential traffic. Thousands of supporters, many chanting Free Lula!, have protested outside the jail where former Brazilian president Luis Inacio Lula da Silva is being held on the anniversary of his incarceration. Pele has announced he is feeling “much better” after falling ill in Paris this week. Manchester City’s Gabriel Jesus scored two late goals to give Brazil a 3-1 victory in their friendly international against the Czech Republic in Prague. 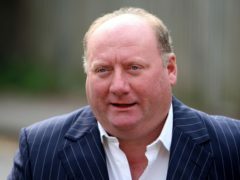 Alan Brazil breached broadcasting rules for suggesting that a Glasgow rat infestation was the fault of Asian immigrants storing rice. Classmates, friends and families of the victims of a mass shooting at a Brazil school have begun saying their goodbyes. Two young men wearing hoods and carrying several weapons have opened fire at a school in Brazil, killing eight people before taking their own lives, according to the governor of Sao Paulo. Hooded teenagers have opened fire at a school in southern Brazil, killing six people before taking their own lives, according to local authorities. 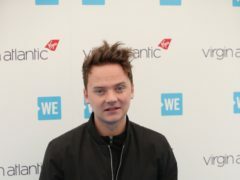 Conor Maynard has said that naivety led him to being robbed at gunpoint in Brazil. Under mounting criticism, Brazilian football club Flamengo has defended its management of the training ground where a fire killed 10 of its academy players at a dormitory that had been registered with the city as a car park. Brazilian football club Flamengo has come under mounting criticism for licensing issues at its training ground, a day after a fire ripped through a dormitory and left 10 teenagers dead. Friends, fans and neighbours have gathered outside the academy for Brazil’s popular professional football club Flamengo after a fire swept through sleeping quarters, killing 10 people and injuring three teenagers. A ceremony has been held to remember victims of the mining dam collapse exactly a week after the disaster in the Brazilian state of Minas Gerais. Brazilian authorities have issued arrest warrants for five people in connection with a dam collapse that killed at least 65 people and left nearly 300 missing as it plastered part of a small city with reddish-brown mud and iron ore mining waste. An estimated 300 people are missing after the collapse of a dam which was holding back mining waste in south-eastern Brazil. Rescuers are searching for survivors in a huge area of south-eastern Brazil buried by mud after the collapse of a dam holding back mining waste. At least seven people have died and around 200 remain missing after a mining dam collapsed in Brazil. Brazil’s President Jair Bolsonaro has pledged to work “in harmony with the world” to cut carbon emissions, aiming to quell international concerns that his country, the main custodian of the oxygen-rich Amazon, could put economic interests over environmental ones. 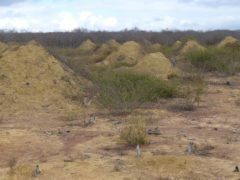 Termites have created a wonder of the world as old as the pyramids that dwarf the ancient Egyptian monuments in scale, scientists have discovered. Twenty years ago Scotland were at the epicentre of global football as they kicked off the World Cup in front of an audience of two billion. 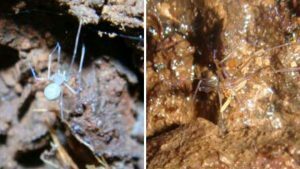 Famous spider characters from the Harry Potter series, Charlotte’s Web and other fantasy novels and literary classics have been immortalised in science after researchers named seven new spider species after them. A British tourist is being treated in hospital in Brazil after she was reportedly shot while her family were looking for water. A woman has died after a motorbike crash on one of the North-east’s most popular tourist routes.